Title Insurance in Jupiter FL (561) 745-3040 | Law Office of Richard S. Weinstein, P.A. When you purchase or sell real estate, you want to ensure that your rights are being protected. One way to ensure that you are receiving a clean title to real estate is to hire an experienced title insurance attorney to handle the real estate transaction. 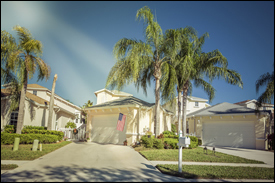 Title insurance is one of the most important aspects of a Florida real estate closing. Because you do not want to take the risk that there will be a problem in the future with the title to your real estate, it is important to hire an experienced Palm Beach County title insurance attorney. If you are refinancing your home, your lender will also require Mortgagee Title Insurance. We can help here as well. Since you are paying for the lender’s title insurance, you have the right to choose the title agent, and choosing the Law Office of Richard S. Weinstein, P.A., will allow us to put our knowledge, experience and expertise to work for you and your lender. A title insurance attorney is in a position of handling problems with the title should they arise during the title search. A title insurance company does not have the legal experience nor the legal ability to correct legal problems affecting the title to real estate. Furthermore, a title attorney has a responsibility to you to inform you of any discounts that may be available to you in the process of examining the title to the property, preparing the title insurance binder and policy, and certifying that title to the real estate is free and clear of any defects. Title insurance protects property owners and mortgage companies against any potential problems with the title to the real estate such as an ownership claim by another party, liens against the property, adverse claims, defective or invalid titles. When you invest money in real estate, you want to make absolutely sure that no other party can claim an adverse interest or that a lien holder can assert its right to foreclose on their lien. Title insurance protects you from all sorts of defects that could substantially affect the value of your property. What is a Mortgagee Title Insurance Policy? If you finance property in Florida, the mortgage company will require that you obtain and purchase a mortgagee title insurance policy, insuring the mortgage company against title defects. Mortgagee title insurance protects the mortgage company in the event a defect in the title to the property adversely impacts the validity of its mortgage lien. The insurance policy only protects the mortgage company up to the principal amount of the mortgage; but the policy does not provide coverage to or protect the homeowner in the event of a title defect. What Does an Owner’s Title Insurance Policy Protect? Your owner’s policy protects you against all known or ascertainable defects in title including old liens or unsatisfied mortgages; unrecorded contracts and leases; lack of access; invalid deeds or defects or fraud and forgery in the chain of title. Because an owner’s title insurance policy does not protect against all potential problems, you need a title insurance attorney who is looking out for your best interest and who will work with you to ensure clear title to the property. In many Florida counties, including Palm Beach County, the seller is customarily responsible for paying for and choosing the title agent. Since the seller warrants the title to the property being sold, and is personally responsible for any title defects, the title insurance policy protects the seller as well as the buyer. Do You Need a Palm Beach County Title Insurance Attorney? If you are purchasing real estate, you need a Jupiter title insurance attorney. Contact The Law Office of Richard S. Weinstein, P.A. online or by calling 561-745-3040 to discuss how our title insurance attorney can protect one of the largest investments you will make during your lifetime. The hiring of a lawyer is an important decision that should not be based solely upon advertisements. Before you decide, ask us to send you free written information about our qualifications and experience. This website is designed for general information only. The information provided at this site should not be construed to be formal legal advice, nor the formation of a lawyer-client relationship. Law Office of Richard S. Weinstein, P.A.